Caravan Black Coffee has always been an underrated place to get some good food even though people visit primarily for the excellent specialty coffee. They recently spiced up their menu with a number of new dishes. Cheesy Spinach and Mushroom Dip. A mix of spinach, mushroom, caramelized onions and cream cheese served with slices of sourdough bread. Perfect pair to a bottle of wine to relax after work or to while away lazy weekends. 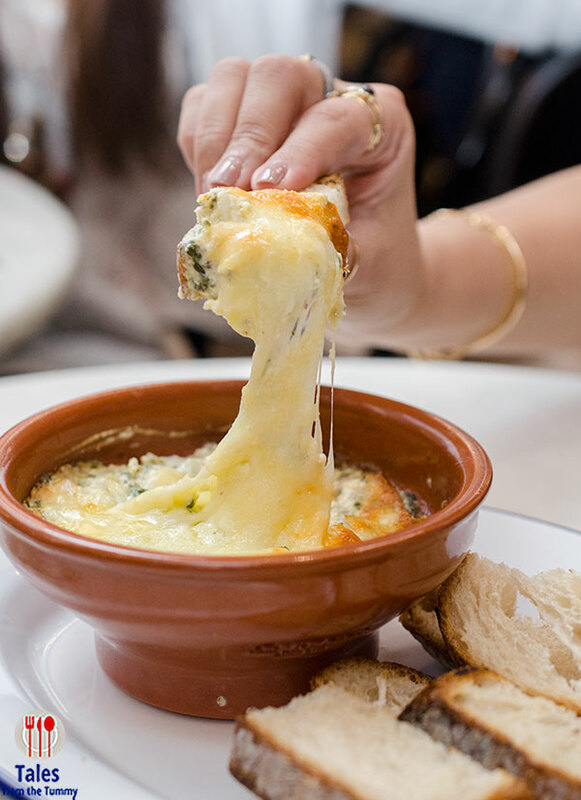 You can smear the dip with a knife or just dip and twirl away to capture all the cheesy goodness. Sausage Egg Not Muffin. 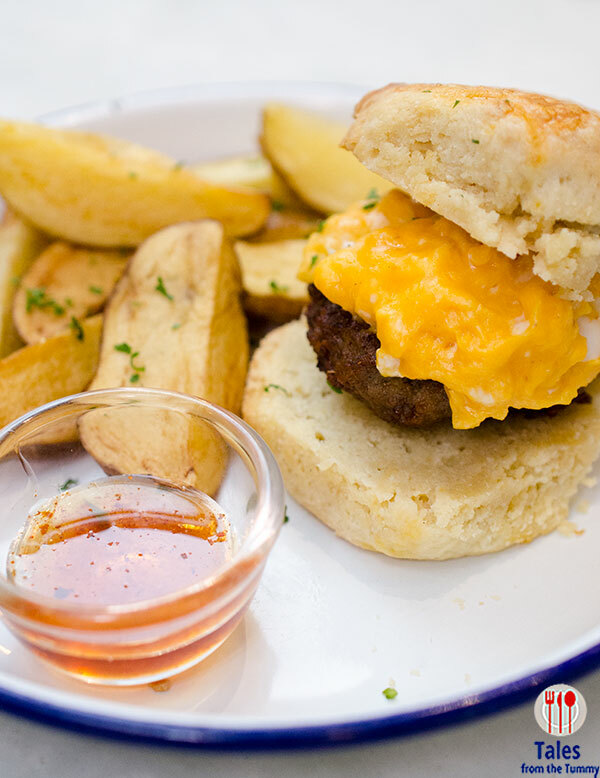 No fast food shortcuts here as they use a house-made sausage patty, cheesy egg, in between a freshly baked biscuit with potato wedges on the side. Be sure to drizzle the spiced honey for a sweet and spicy kick. Chicken Soft Taco. 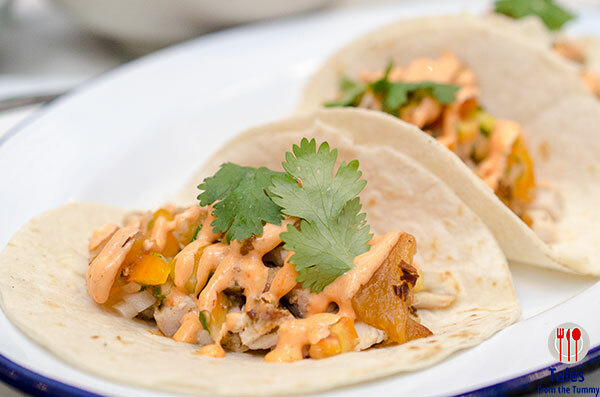 Here’s Caravan Black’s version of tacos using Cajun spiced chicken with a pineapple salsa and finished off with a drizzle of sriracha mayo. Lucky You Noodles. A rift on the popular instant noodle brand but made healthier. 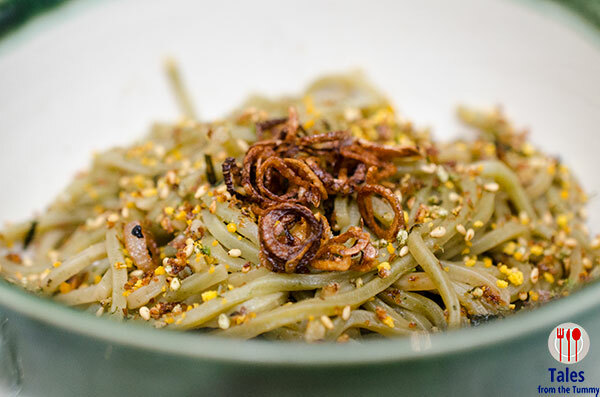 Malunggay noodles tossed win sweet spicy sauce then topped with crispy onions. n extra order of fried sunny side egg would be perfect to mix into the noodles for an additional dose of creaminess. Lamb Adobo Grain Bowl. For a little more filling meal, try out the new addition to their grain bowl line. 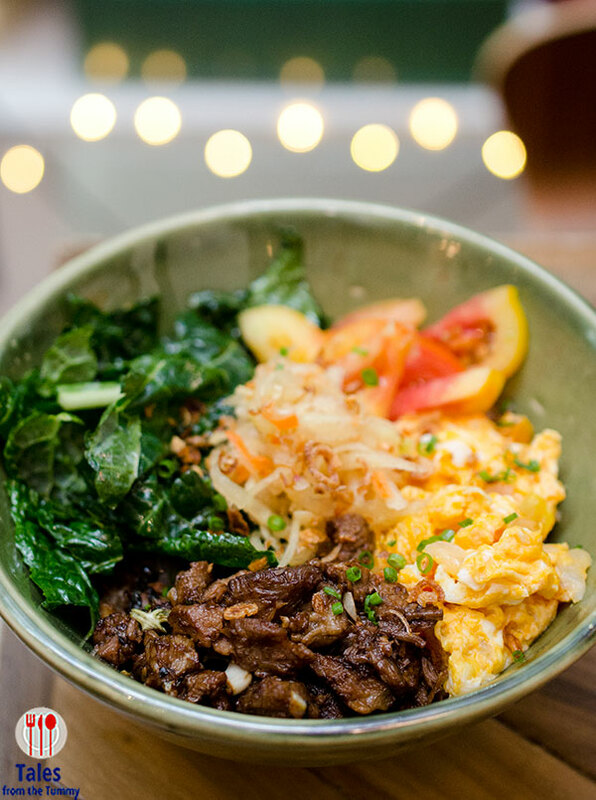 A mixed grain bowl topped with succulent lamb adobo, egg sarsiado (scrambled with tomatoes and onions), atchara and kale. A filling all in one meal that is quite healthy with all the fibrous grains like brown rice, red rice and quinoa, and sometimes adlai. Caravan Black traditionally launches 2 holiday themed drinks every year. This year it’s based on their house made wild cinnamon honey with the Jack Frost cold coffee and the Noelle for their hot offering. 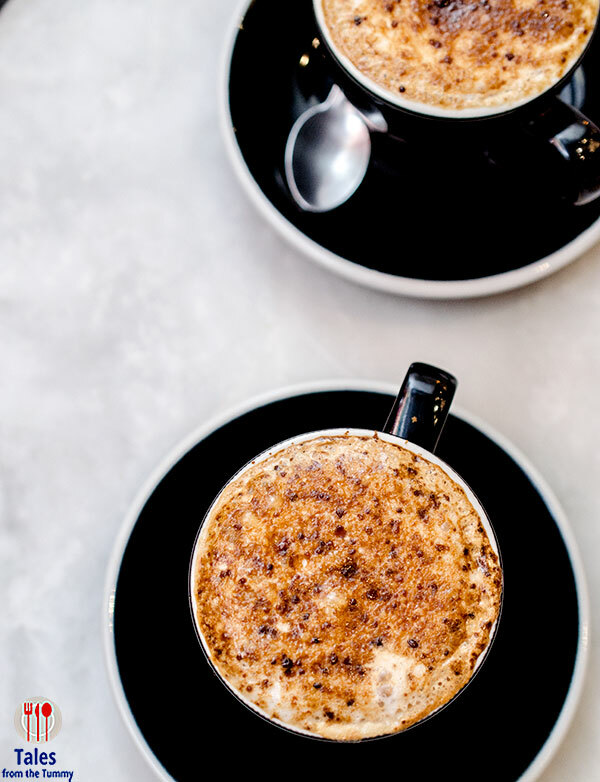 The Noelle has cinnamon honey, Maverick Espresso, steamed milk and caramelized muscovado. 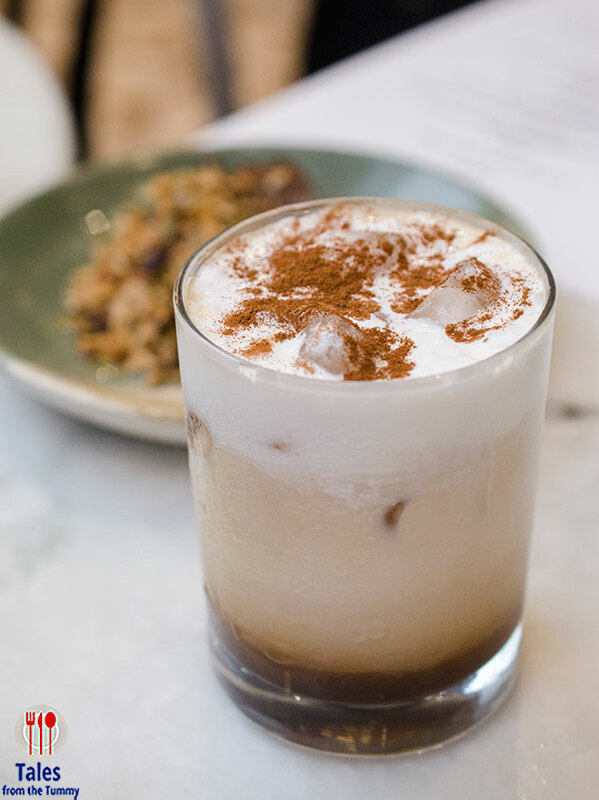 The Jack Frost is composed of cinnamon honey, Maverick espresso, steamed milk and a dash of cream served over ice. I love cold drinks for the holidays so Jack frost was my order and I loved it. Hopefully they keep Jack Frost permanently, it’s a fun drink that captures the essence of the season and wouldn’t be out of place on the regular menu for those craving a cold perk me up. Banana Berry ala Caravan. 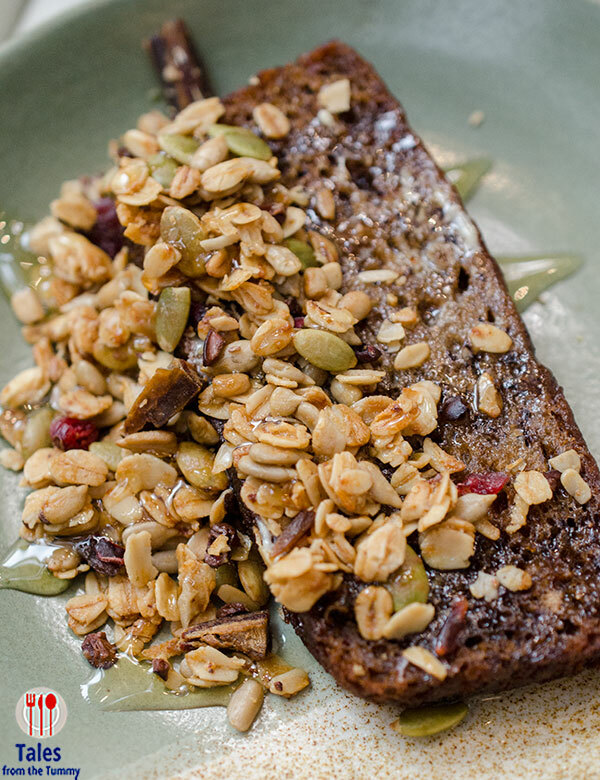 Toasted moist slice of banana bread with butter, topped with granola and drizzled with honey. Who knew granola and banana bread would work so well together.